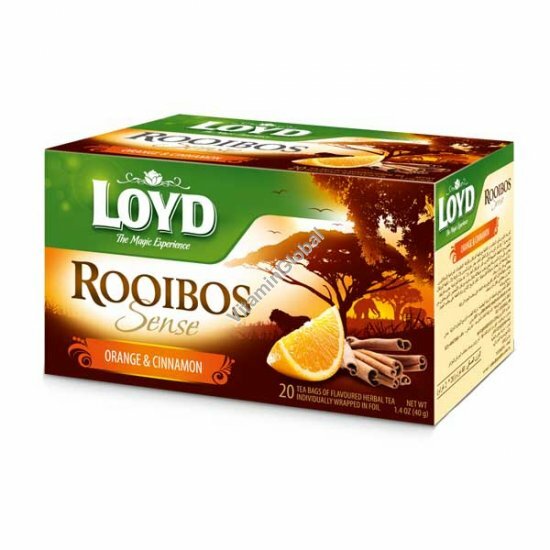 Loyd - Rooibos Sense Orange & Cinnamon is delicious with or without milk or sweetener and is also great as a refreshing iced tea. Ingredients: rooibos (61%), rosehip, bramble leaves, liquorice root (5%), cinnamon (5%), natural flavouring, orange peel (3%). Conteins liquorice - not be consumed in excessive amounts by people with hypertension. Kosher under the Rabbinical Supervision of Badatz of "Hug Hatam Sofer".